Recently I went for lunch with some friends . The lunch was Indian but they had a huge spread of Middle Eastern dips. I have always been very fond of this cuisne,and since there was a big spread of these dips, I did not feel like having the main course. 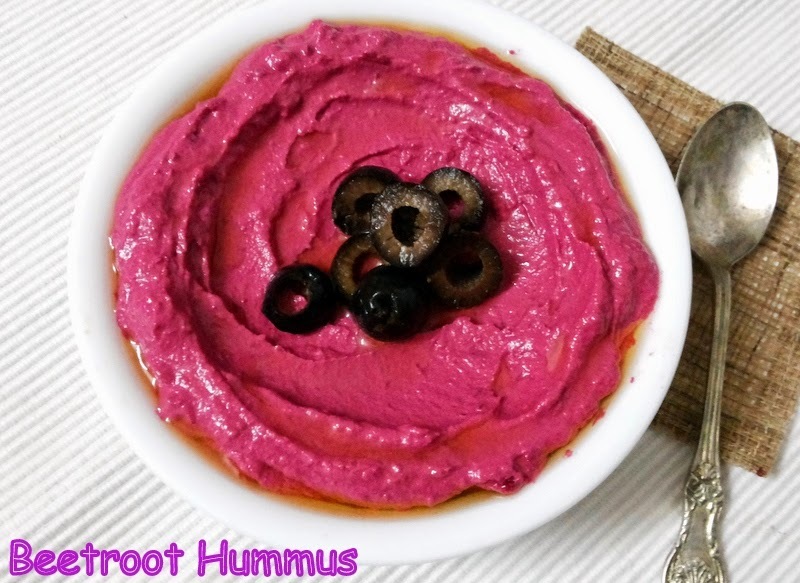 The Beet root hummus looked the prettiest and attracted everyone. It tasted as good. 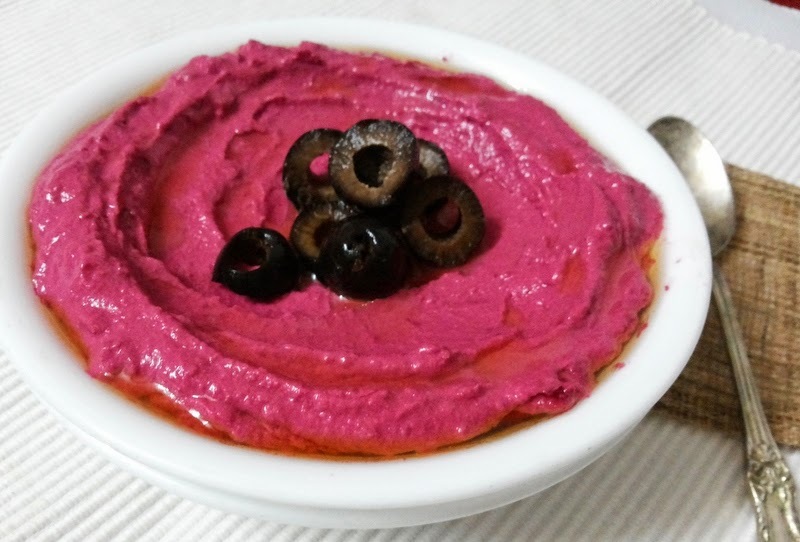 I have tried pumpkin hummus ,which also tastes awesome, but I was sold out to the vibrant beauty.This is my Day 2 post under the Middle East Cuisine theme. Boil the chick peas till tender. Drain, reserve the water and use it in your gravy or for binding flour. 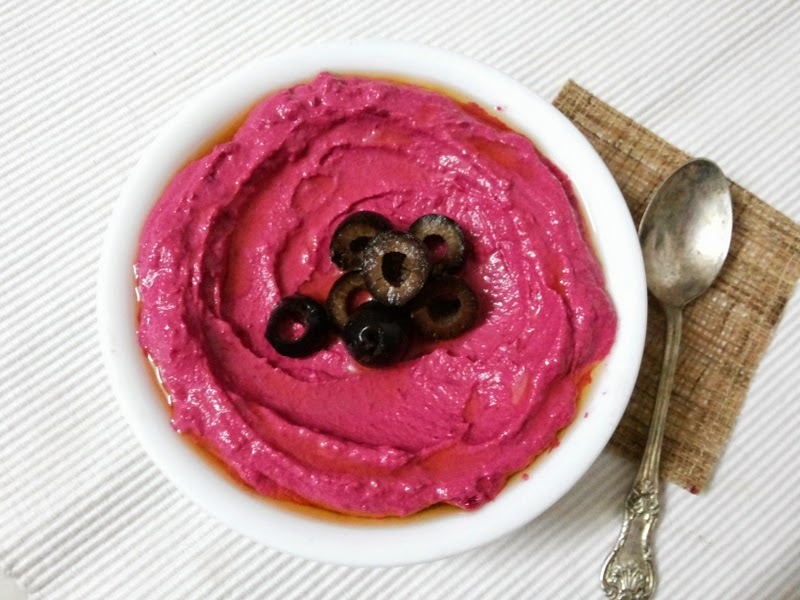 In a blender add all ingredients and blend to a smooth paste.